Burlingame, Sara Lee. The Making of a Spoilsman: The Life and Career of Roscoe Conkling from 1829 to 1873. Ph.D. dissertation, Johns Hopkins University, 1974. Chidsey, Donald Barr. The Gentleman from New York: A Life of Roscoe Conkling. New Haven: Yale University Press, 1935. Conkling, Alfred Ronald. The Life and Letters of Roscoe Conkling, Orator, Statesman, Advocate. New York: C.L. Webster & Co., 1889. Fry, James Barnet. The Conkling and Blaine-Fry Controversy in 1866. New York: Press of A.G. Sherwood & Co., 1893. Hollenbach, James Barry. The Political Speaking of Roscoe Conkling of New York. Ph.D. dissertation, Ohio University, 1973. 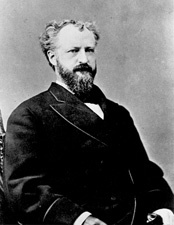 Jordan, David M. Roscoe Conkling of New York: Voice in the Senate. Ithaca: Cornell University Press, 1971. McClain, Charles J. From the Huntington Papers: The Huntington-Conkling Connection. Pacific Historian 29 (Winter 1985): 31-46.